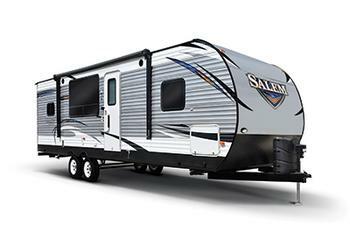 Forest River is recalling 64 model year 2019 Forest River Wildwood and Salem recreational trailers. The break-away safety switch may have been improperly wired so that it is not connected to a constant power source, thereby possibly preventing the trailer brakes from automatically applying if the trailer were to separate from the tow vehicle. Failure of the trailer to brake when it becomes detached from the tow vehicle can increase the risk of a crash. Forest River will notify owners, and dealers will install a new wiring harness, free of charge. The recall is expected to begin August 4, 2018. Owners may contact Forest River customer service at 1-574-534-4058. Forest River's number for this recall is 69-0764.